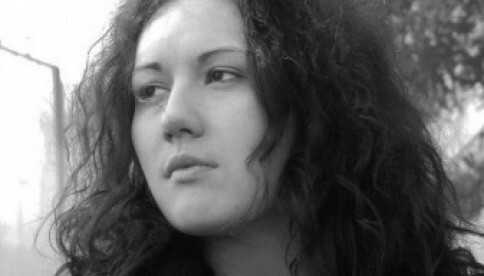 Irena Delonga Nešić (Sinj, 1984) is a Croatian poet and former editor of the The Split Mind magazine. In 2010 she published a poetry volume ''Riječi kupuju zločine koje ćeš počiniti" and was awarded Goran prize for young poets. She lives in Split, where she hosts literary events. or I was talking to myself as if I spoke on the phone. I had wine stains under my nails and could not remember when it was that I hurt you. the razor got stuck in my throat. and spasmodic clinging on small utopias. I wish to wash your laundry. I have a sun, yellow walls and dead lilies of the valley in a glass. the day is lazy, soft and without teeth. come tired so I won’t be afraid of you. in that wild way of yours. lazy, drowsy and more and more mine. and that this is why I am quiet. hanging over a thirteen-floor abyss. snow hasn‘t fallen in years. god died, resurrected and I never found him. without a shift. it steals from us. when I look at it too long and when I think that I will die from it.